Oh my dayz. I really need to read more of this authors books. I found this to be a light and beautiful read. Autumn has sworn off all military men. Then Linc enters her life. He's a retired soldier and willing to fight for what he wants. He's got a battle in his hands with Autumn. I read this in one sitting. It's a shortish read and I read it in one sitting. Autumn Trask swore off military men years ago. Between being raised by a father who lost both legs in the Gulf War, and the death of her fiancé she knows her heart can’t take more. 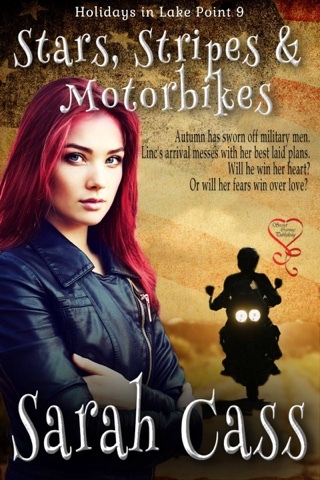 She keeps her head down and focuses on running her motorcycle shop. The arrival of the retired military hottie shouldn't derail her like it does. Despite her attraction, she’s determined to push him away. This is the third book I've read by this author and it's my favourite hence its getting the five stars. At 150 page it's a great naughty read. The story is basically about a guy, who to earn some money to get himself out of debt decides to become a gigola for a month. We read of the different women he meets and the situations he gets himself into. It's a well written naughty story. An easy read with a few laugh out loud moments. The naughty side of me really enjoyed it. If I were to have any complaints it would be I found the ending too rushed. However I'll certainly be recommending this book. Ashby Sebastian Sterling-Haynes has had a lot of boyfriends, but he's never found the one. What do you do when your world comes crashing down on you? 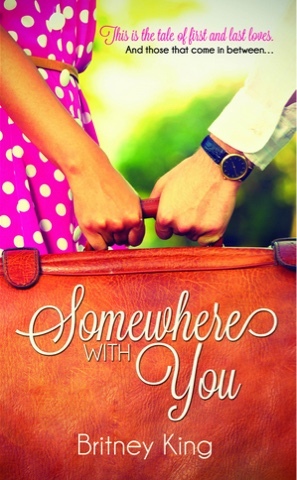 Skye Donovan has spent her whole life moving with her parents from one duty station to another. Each time has forced her to say goodbye more times than she can count. 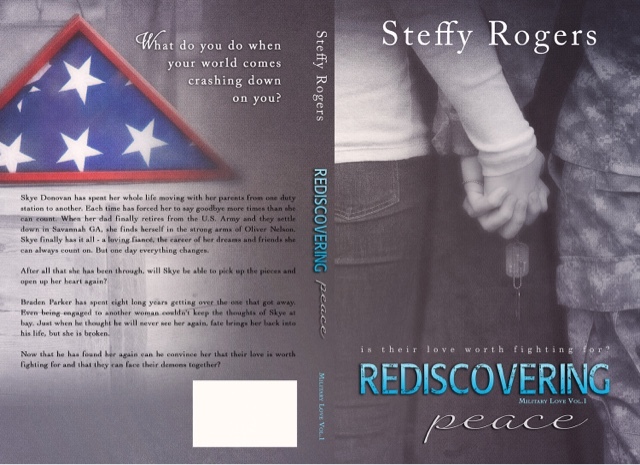 When her dad finally retires from the U.S. Army and they settle down in Savannah GA, she finds herself in the strong arms of Oliver Nelson. Skye finally has it all - a loving fiancé, the career of her dreams and friends she can always count on. But one day everything changes. After all that she has been through, will Skye be able to pick up the pieces and open up her heart again? Braden Parker has spent eight long years getting over the one that got away. Even being engaged to another woman couldn't keep the thoughts of Skye at bay. Just when he thought he will never see her again, fate brings her back into his life, but she is broken. Now that he has found her again can he convince her that their love is worth fighting for and that they can face their demons together? I didn’t know what to say. I knew there was something between us, but he was married. I had promised myself never to get into a relationship with a married guy. It always ended in heartbreak. Why was I so damn drawn to this guy? He was handsome. He had blue eyes and short brown hair, and by the build of his body I could tell he worked out a lot. He was wearing a pair of washed out Wranglers and a blue dress shirt with sleeves rolled up. It clung to his tattooed muscular arms and my imagination was running wild with how he would look underneath his shirt. It wasn’t only his looks that I was attracted to. I could feel the air charging with electricity between us and I didn’t know how much longer I would be able to resist him. I needed to get out of here before I did something stupid. There it was again – that look. That defeated look that told me just how much he was hurting on the inside. I fought the urge to wrap my arms around him and turned to leave. Before I closed the door behind me I looked back. His beautiful blue eyes lit up and I knew then, that I was in deep trouble. When she isn't working or going to school she spends her free time writing. She makes a home in a very small town in Georgia with her dog Karma. However, her heart belongs in Germany, where she lived for 20 years before returning to the USA. 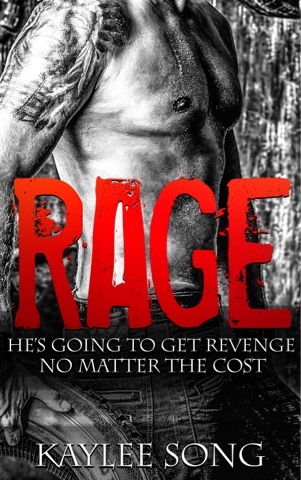 When her brother is murdered, death brings her right back into the clutches of the club - and under the watchful eye of Cullen "Rage" McFadden, her first love. 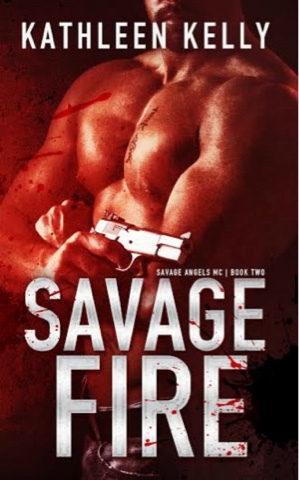 Cullen "Rage" McFadden wants vengeance for his best friend's murder more than anything in the world. The only thing that could distract him is Layla. Loving her has never brought him anything but pain. She could be his undoing, but he doesn't care. He has to have her. Can Layla resist the temptation he represents, or will he drag her down into his world one more time? Note: This is a dark and gritty MC romance. 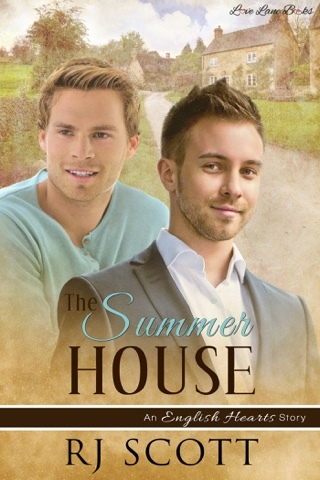 It is a stand alone title with no cliffhanger and a HEA ending in a series. There is some violence and adult content. Kaylee calls the Chesapeake Bay Area her home. She loves the water, the city life, and the beautiful Appalachian countryside. You can find her with her rescue animals and her husband on any given day, reading on her balcony, or snuggled up on the couch with a book in her hand. Synopsis: Monsters have a way of following you. My heart leaps into my throat, and time has lost meaning. The entire car leans up on two wheels as it travels to the left, rather than straight ahead. My body presses into my father’s, and I wish more than anything I could hold myself away from him. He reaches for the door handle, but his efforts are futile, as the water has already risen to his window. We continue to move with the current, until it completely picks up the car. The metal tomb flips and turns onto the driver’s side door, snapping off the mirror. I don’t think. I struggle to unbuckle my seatbelt with one hand, the weight of my body pulling the strap taut, and crank down the passenger window with the other. Like a seamless and rehearsed dance, everything happens perfectly. The window is down, the buckle releases its grasp, and I grab on to the edge of the open window. Using the edge of the steering wheel, and my headrest, I push myself up and out the opening. The car slows, but it’s still moving with the flow of the water, rocking from side to side as the muffled sounds of metal scraping against the earth fill the vessel. “Addy Mae,” he cries up after me. It’s a tone I’ve never heard from him, or at least I don’t recall. I look down at him; his eyes are wide with fear. I feel sorry for him, the need to help him overwhelming me. I drop to my knees, readying myself to extend a hand. The car jerks unexpectedly, and I fall to my stomach, gripping the rim of the window for support. A cracking sound echoes from inside of the car. I look down to see a large rock has wedged itself firmly into the windshield, cracked glass splintering outward. “Goddamn it, Addy, you better get me the hell out of here,” he shouts. There he is, I think. The father I know. My hand is halfway extended when I pause and pull it back. 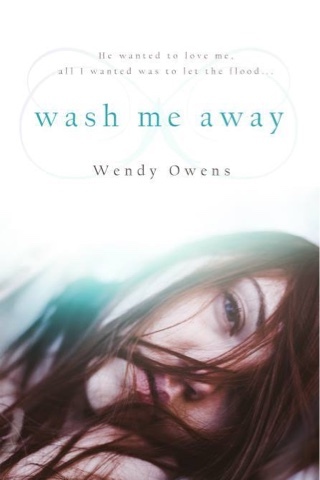 “What the—” The windshield gives way, and the shards rush inward with a gush of water. His expression, his words—they all disappear in an instant, beneath the murky, churning waters. “No, no, no! In fact, Jonas put a guard on my door so no one would go near me. Not that they would. I was safe, Sal.” Something crosses his face and he stares at me so intently that I look away and stare at the floor. He moves back into my space and lifts my head up. “Thank you for getting me coffee. Let’s go have breakfast and I’m buying. I think I shall keep you in my sights to make sure nothing else happens to you. I have never met a woman who allows herself to get into so many dangerous situations, in such a short space in time. You, my Amare, are a handful.” He moves away from me and does up his shirt, then grabs his jacket. He opens the door to his room and extends his arm. “Shall we?” he asks, offering me a smile that reveals his dimple. My core clenches again and I have to fight the urge to throw myself at him. “Prez, we need to call Church.” Jonas interrupts before Fithhas a chance to answer.